This privately owned, large and very comfortable Grade II listed Georgian town house is located in Tenby's historic town centre on a quiet street within the old town walls and only a stone's throw from the beautiful South Beach. 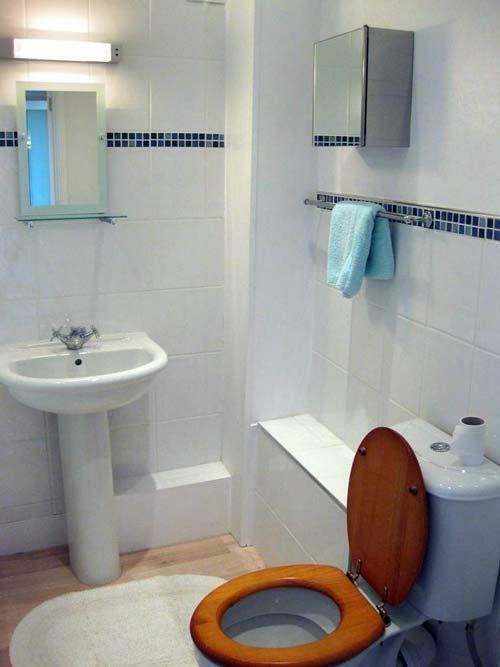 The local amenities are all within easy walking distance. The property comfortably sleeps 12 in 6 bedrooms all with ensuite bath/shower rooms. 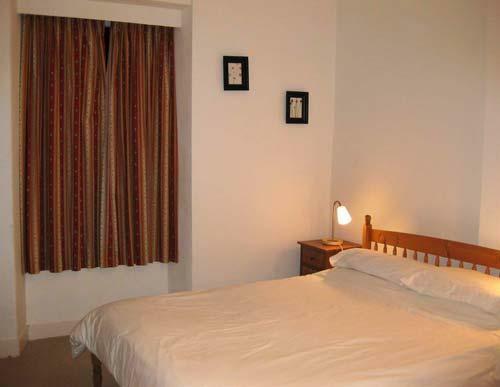 The living accommodation is spacious and comfortable and consists of two sitting rooms and a large well equipped kitchen and dining area. 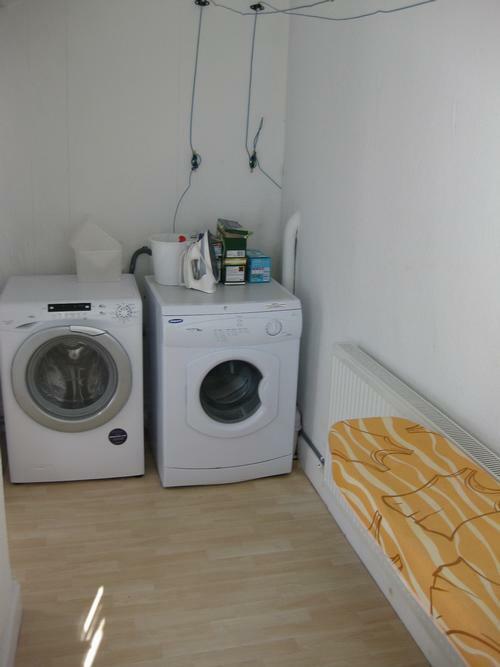 There is a separate laundry room and a small enclosed patio/courtyard. Both living rooms have good sized flat screen TVs with BT Vision free view channels. 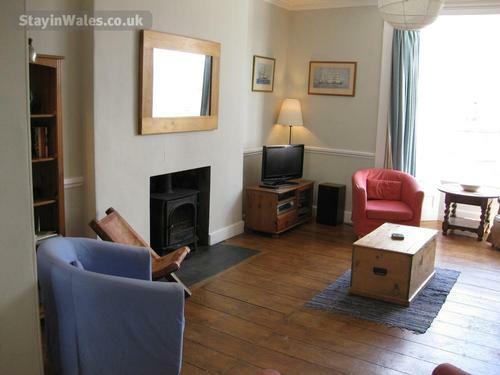 The ground floor living room has a wood/coal burning stove for use in the colder months. Wifi is available and included in the price. Bed linen and bath towels are included in the price. Please bring your own beach towels. A final clean is included in the price. 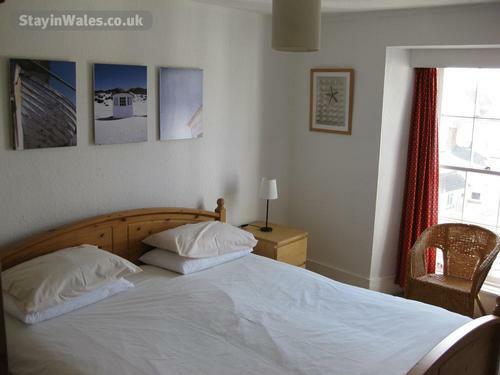 For smaller groups we can offer a discount on the normal rate out of peak holiday season only. 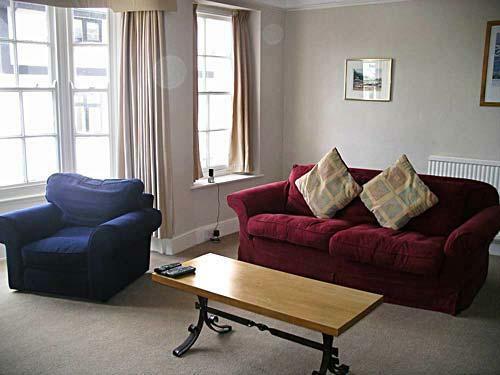 Short breaks are also available at these times. Please ask. 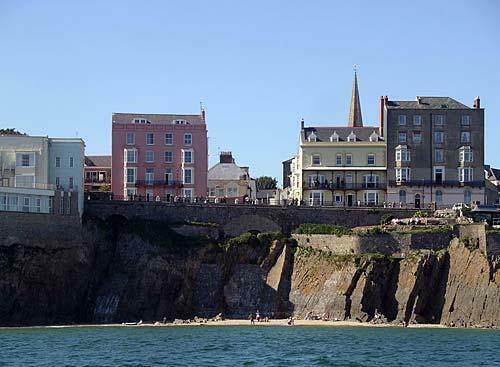 Tenby is probably the prettiest seaside town in Wales. The original town called Dinbych y Pysgod in Welsh or 'little town of fishes', was established by The Normans as a fortified town. Most of the old town walls remain, enclosing the medieval town behind them. 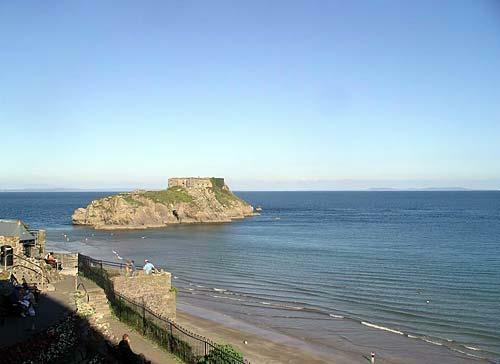 The castle that defended Tenby was built on Castle Hill but only one small keep tower remains of that. 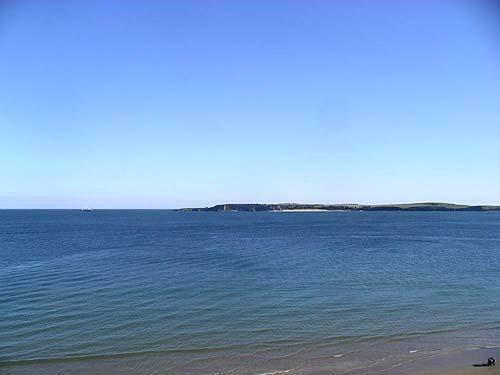 Tenby has 3 Blue Flag beaches. North Beach faces east and is nicely sheltered if the prevailing south westerly wind is blowing. Castle Beach faces south and also has high cliffs backing it, while South Beach stretches uninterrupted for a mile to Giltar Point and is perfect for all sorts of beach games like volleyball. 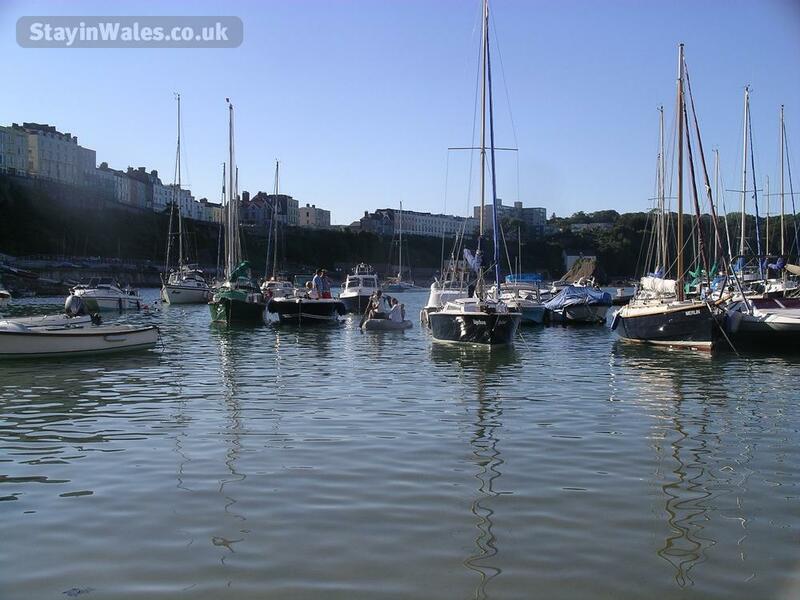 In between North Beach and Castle Beach is the picturesque harbour, which also has a sandy beach. The harbour is clean and sheltered so is a good place for toddlers. 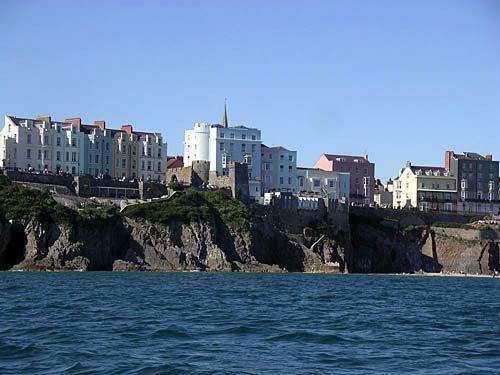 Regular boat trips run from Tenby harbour to Caldey Island, just offshore from Tenby's South Beach, it is owned by monks of The Cistercian Order and has an active monastery. 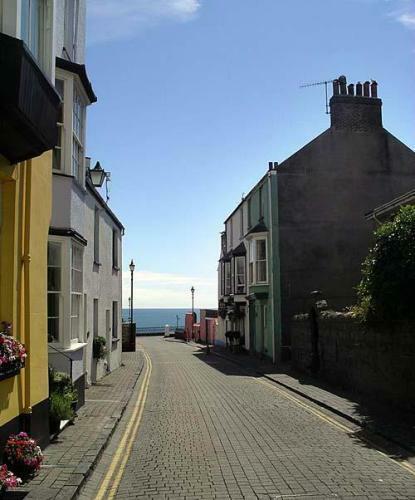 The centre of Tenby is a maze of narrow little streets. There are plenty of interesting and quirky shops, bars, pubs, cafes and restaurants. 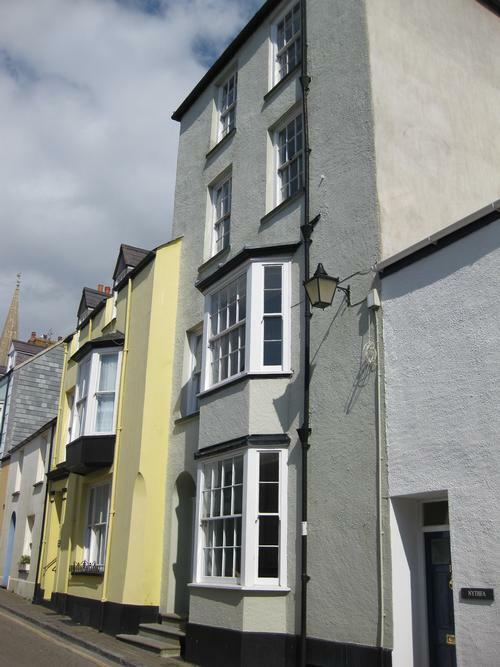 There's also the National Trust owned Tudor Merchant's House and the Tenby Museum and Art Gallery to visit, amongst many other visitor attractions in Tenby. If you can tear yourself away from Tenby's beaches we can recommend visits to the local town of Narberth or the unique and tiny city of St David's with it's 12th Century Cathedral and ruined Bishop's Palace. Barafundle Bay is also well worth a visit - voted Britain's best beach and one of the most beautiful places on earth, it is reachable only on foot. 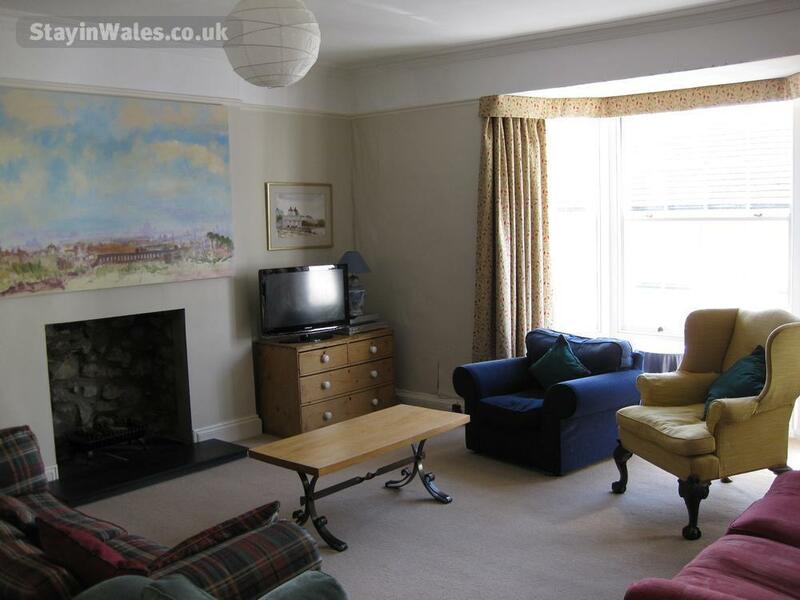 Stackpole Quay, Freshwater West (Wales's premier surfing beach) and Freshwater East, Bosherston Lakes, Manorbier and it's castle - there are so many beautiful places nearby you are spoilt for choice. 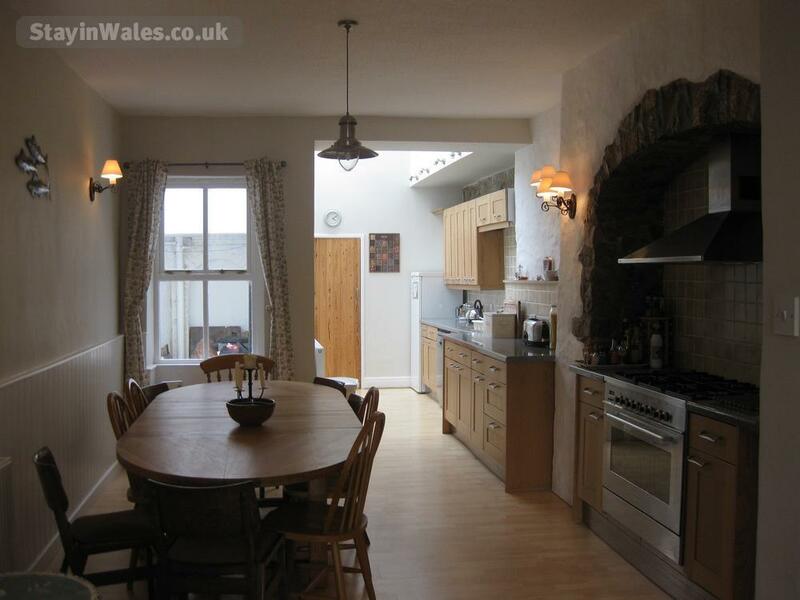 Great house, lots of space with excellent facilities and central location! 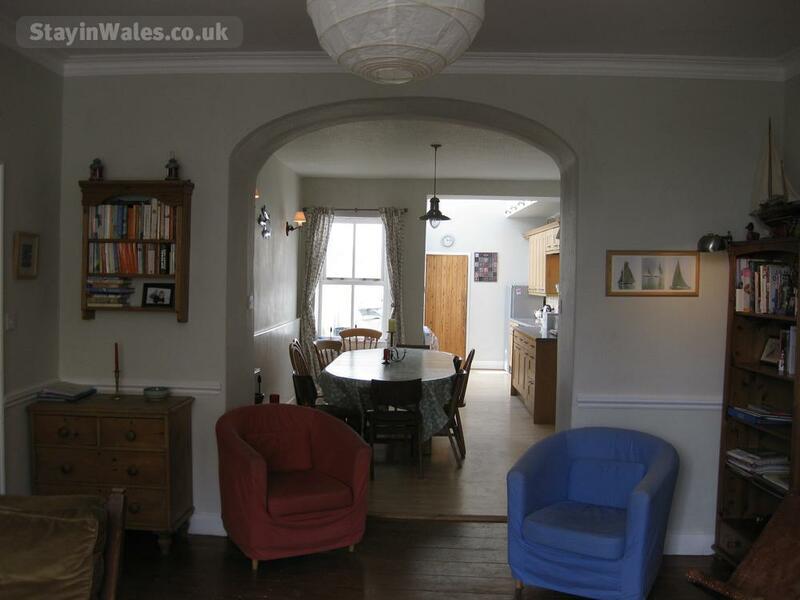 A lovely house with plenty of space - fabulous for a 3 generation family and with 2 living rooms, it's good to have a quiet space if needed! One of the living rooms is open plan with the dining area and kitchen which we all loved, as it meant we could be together as a family whilst cooking, etc! kitchen has all the facilities, essentials and equipment that you would hope for! 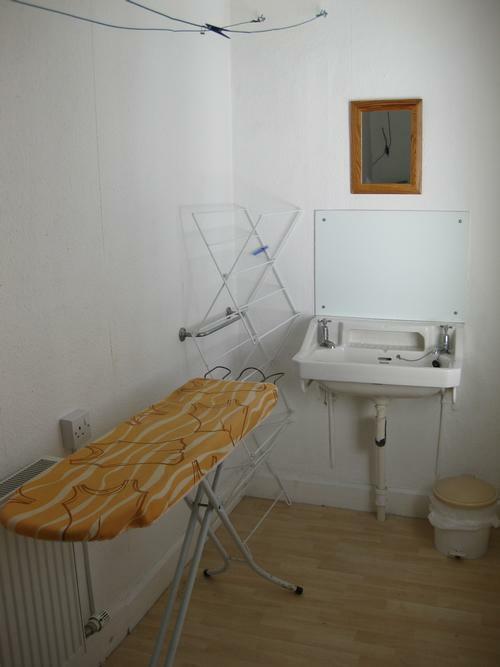 Extremely clean and a bonus that all bedrooms have en-suites! 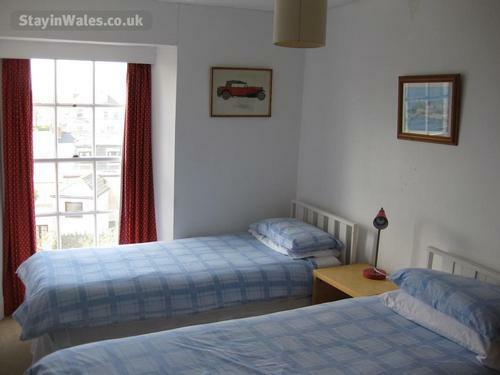 Right in the centre of Tenby but located on a quiet side street which was perfect for us all. Would happily return back again! 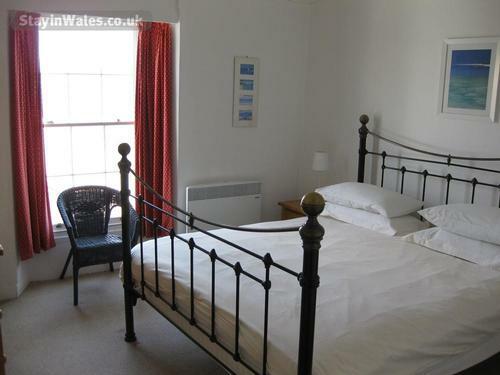 We hired St Mary's house for a four generation family getaway. 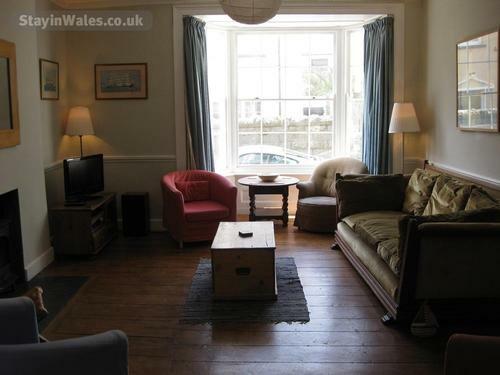 Loved the convenience of being in the centre of Tenby with beach views. Spacious rooms over four floors beautifully clean and comfortable beds. Kitchen dining room with lounge great area to get together as a family and really bond. Thankyou Caroline. We rented this beautiful house for 12 of us. There was a mix of couples and singles and it suited everyone perfectly. It's so big you didn't even notice there was that many people there and there are 4 floors so you had plenty of space and quiet rooms if you wanted it. Once at St Mary's House you don't need your car unless you want to do some local sight-seeing in the surrounding countryside. Otherwise everything you need is within easy walking distance, the local supermarkets, the town square, the pubs, restaurants and bars and most importantly the beaches! 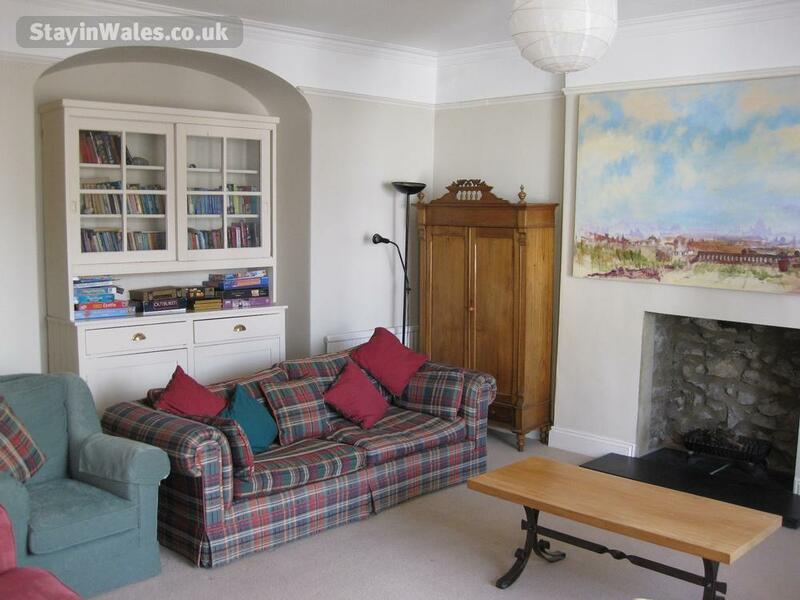 You can get a train to Tenby from Swansea or Cardiff. From London's Paddington Station the rail journey takes around 5 hours with one change at Swansea. We don't have dedicated parking but there is a car park just outside the town walls (Rectory Car Park) only about 5 minutes walk from the house where you can pay for the week and come and go as you wish. Management has just changed so we can't confirm costs at this time but it was IRO £25 per week. Alternatively there is the long term car park by Sainsbury's. 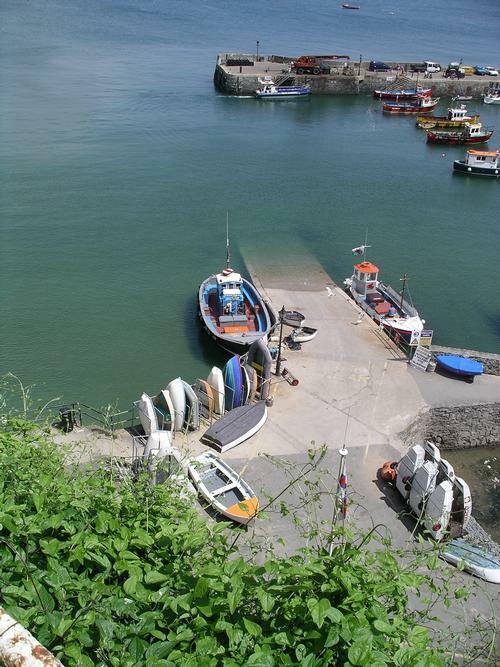 In the peak summer months Tenby operates a pedestrianisation only period from 11 am till 5 pm every day within the town walls. Since St Mary's House is inside the town walls we have a special permit which will allow for access with a car to load and unload during these times. 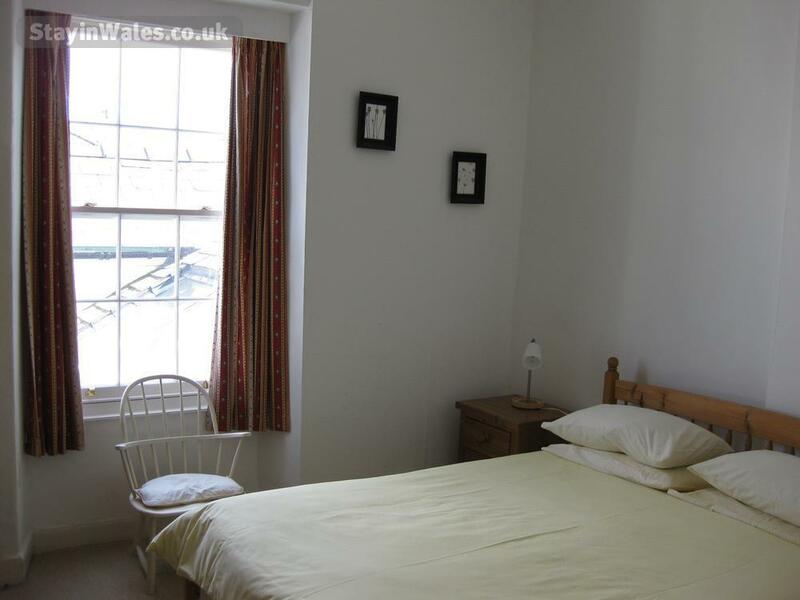 Wifi, bed linen and bath towels and a final clean are included in the price. St Mary's House is a no smoking house and sorry, no pets. We will let for long weekends out of peak season. Please check availability and rates with the owner.